I had so much making this piece! 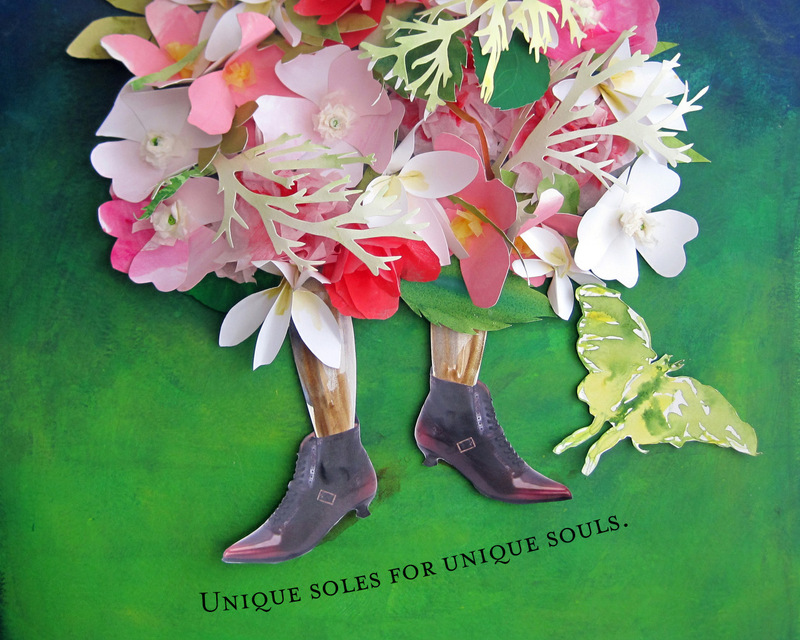 Thank you to Mr. Fluevog for selecting me as a finalist. What I wrote for my submission Should I stay or should I go? Jane is the embodiment of blooming and almost bursting desire. Will she run or will she stay? Her shoes will help her anywhere she needs to go, if her heart and mind tell them to. Each of these flowers is hand sewn, quilled, or cut in a variety of papers and watercolor. Can one also tell I happen to listen to The Clash a lot when I am working?